Was there a new arrival among your extended family or circle of friends this year? Many of our customers like to commemorate that happy event at Christmas with one of our personalized birth stats plaques. 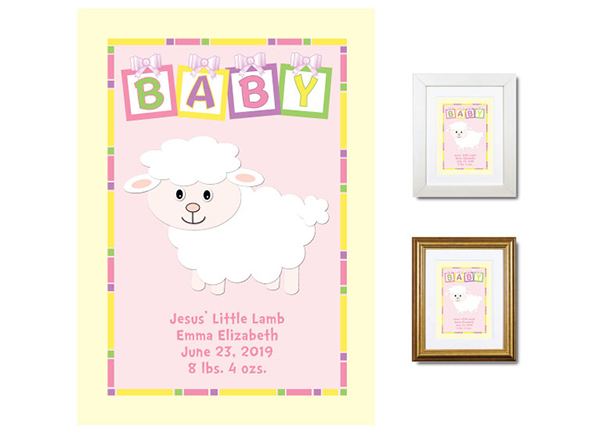 These look cute hanging on the nursery wall! There are a variety of designs from which to choose, and they start at just $28.50.